The principle behind DNA barcoding is that you amplify and analyse a small snippet of a gene that differs slightly but in a detectable way from species to species. From mislabeled meat to fake fur, a global industry has thrived for centuries by supplying shops and markets with fraudulent products. Is DNA barcoding the answer? Investigations in New York’s Chinatown are a regular occurrence, but Sergios-Orestis Kolokotronis’ mission was purely scientific. The professor of genetics at Barnard College sent his students out to trawl the markets’ open-air displays of exotic fish, fruit and vegetables, and purchase anything being sold as crocodile meat. When they brought the meat back and analysed it, they found it wasn’t from crocodile at all. Its origins weren’t exactly clear, but for all the world it looked suspiciously like some kind of python. Slice it and package it in the right way, and one reptile’s meat looks – and may even taste – like another. From mislabeled crocodile to fake fur, a global industry has thrived for centuries by supplying shops and markets with fraudulent or counterfeit products. Until now, perhaps. Scientists and authorities think they can finally put an end to this unscrupulous trading by using a technique that can identify species from its genetic material like a barcode on a cereal box. To see how authorities are beginning to use this method to tackle fraud, you need to travel just over 10 miles from Chinatown’s markets to a large, square, greyish building in Newark, New Jersey. There, on the fifth floor, one lab is trying to catch everything from fraudulent fish, to mislabeled toy cats, to illegally prepared sheep placenta in traditional Chinese medicine. The lab is run by the United States Customs and Border Patrol, but the science in question – DNA barcoding – is becoming more and more useful for law enforcement and research around the world. To demonstrate, Matthew Birck, the lead barcoding scientist at the Newark lab, walks to a large white freezer and pulls out a black garbage bag. Inside is a very frozen, very intact fish – head to tail. Towards the back of the fish popsicle, Birck had cut a small square for sequencing a little bit of DNA called the CO1 gene – also known as the “barcode of life”. Normally Birck and his lab don’t get an entire fish – or an entire anything really. Instead, they often get parts of the animal in the form of pills, snippets of hair, and chunks of vegetables or meat. Most recently they’ve been inundated with fish filets, which are nearly impossible to identify. “There’s nobody who can look at a fish fillet and tell you what it is,” Birck says. And importers will go to great lengths to cut and dye their fillets to look like the fish they’re trying to imitate. The principle behind DNA barcoding is that you amplify and analyse a small snippet of a gene that differs slightly but in a detectable way from species to species. The idea isn’t terribly new: the decision to use the CO1 gene as the “barcode” was made around 2003, mainly due to work by Paul Herbert at the University of Guelph in Ontario, Canada. Herbert’s group proposed that the CO1 gene could work as a barcode for several reasons: all animals have it; it accumulates small differences as species diverge; and it’s relatively easy to extract, as the gene is found outside the cell nucleus in structures called mitochondria. Herbert's team also showed that screening the gene can distinguish closely related species with 98% accuracy. For them, it made sense to pick a small region to sequence, rather than spending considerably more time analysing the whole genome. “Whenever one has a job to do, one is always looking for the simplest way to do it,” Herbert says. If everyone uses the same little snippet, they can build a good database to use. One particularly fertile avenue looks like being the murky world of fraudulent seafood imports. Illegal, unreported and unregulated fishing is not only a lucrative business globally, estimated to be worth between $10 and $30 billion a year, it’s the biggest threat to the sustainable management of fish stocks. 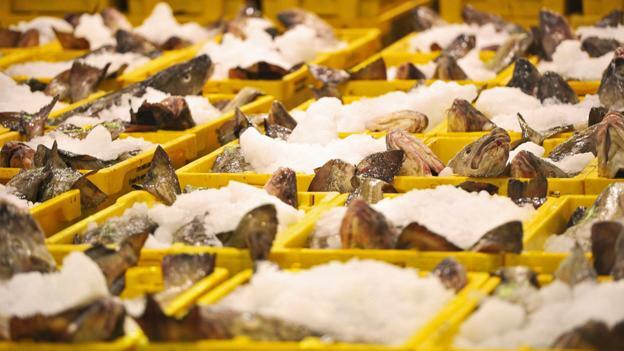 Using DNA barcoding, the Boston Globe revealed last year that 48% of the fish their reporters purchased in restaurants, grocery stores and markets in Massachusetts was mislabeled – typically serving cheaper seafood instead of more expensive species on their menus. As a result the US Food and Drug Administration announced at the end of last year it will expand its use of DNA testing in inspections of seafood manufacturers and restaurants. Birck says that sometimes barcoding can tell even more than just what species a sample is from. One importer was labelling some salmon as “farm raised.” Customs asked Birck to confirm if it was, in fact, raised on a farm. That’s not usually something DNA barcoding could do, except that only Atlantic salmon is farmed. Pacific salmon is almost always caught in the wild. So by figuring out which species they were looking at, Birck could tell customs whether or not the importers were lying or not. However, the method isn’t without its glitches. While the CO1 gene works most of the time, there are still species immune to barcoding. Sturgeons, for example, simply can’t be barcoded using the CO1 gene – the gene hasn’t evolved enough between different species – so identifying their caviar through barcoding is impossible. Plants are also quite difficult. To sequence them, scientists don’t use the CO1 gene at all; instead two little regions of DNA are used as “barcodes”, and often even that can’t quite identify certain species. But, overall, the method works for the vast majority of animal species, and because it’s standardized, scientists all over the world can contribute to the archive. Now, Herbert oversees that repository, called Barcode of Life database, where the database of what different species’ CO1 genes look like is kept. Right now, there are 112,547 animal species in the database, and almost 43,000 plant, fungi and other types of organisms. Researchers like Birck doesn’t often run into problems finding what he needs in the database, since the species he’s looking for are commercially valuable. But there are times where barcoding can’t provide an answer, as the barcode library is far from complete. It simply doesn’t have information about many creatures, like pythons from Southeastern Asia, for instance. So for barcoding to become really useful for someone like Kolokotronis examining the crocodile meat in Chinatown, many more samples need to be added to the database. Herbert and his group have enlisted biologists all over the world to incorporate barcoding into their fieldwork to keep the database growing. The hope is that all collaborators will barcode five million specimens representing 500,000 species by 2015. The more samples they have in the database the more scientists can hope to use the technique to barcode everything from a whole environment to a cup of seawater. There are sometimes workarounds for answering questions that barcoding can’t. Birck laughs as he describes one case in which they got a little snippet of fur that had come from a stuffed cat. The sellers were claiming the fur was fake, but someone at customs suspected it was real cat fur that had been glued onto the outside of the toy. Birck tried, but couldn’t get any DNA from the hair, or from the plastic like material the hair was glued to. Thankfully, their lab handles all sorts of materials, and he handed the fur to someone who specializes in textiles and fabrics. A quick look under the microscope confirmed that it was, in fact, real cat hair. The US Customs and Border Patrol is hoping to open similar testing facilities in other ports over the coming years. They also are trying to spread the word to enforcement officials across the country that the lab in Newark even exists. Many people, Birck says, have no idea that they can send their suspicious samples to the lab for testing. Which means a lot of material either passes through, or is held indefinitely when agents don’t know what it is. On the ground, they might get a box of fillets and have to make a decision based on gut instinct, while Birck can make a decision based on a precise test. Other times, however, there’s not much you can do. And some plant species will never be barcoded to the species level. Sometimes investigators just can’t get DNA. And Kolokotronis still doesn’t know what species his Chinatown meat is from.